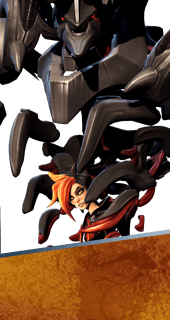 Fetch is an Ability of Shayne and Aurox in Battleborn. I love it when pets play with you – you know, bring you back a thrown ball or something. But when that pet is all razer-sharp claws, grafted to you, and hauls in your prey… well, that’s a whole other story.